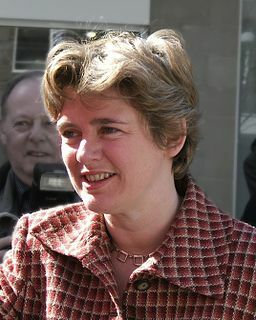 Ruth Kelly has been the Labour MP for Bolton West since 1997. She was Secretary of State at the Department for Transport from 2007 - October 2008. Kelly served as secretary of state for communities and local government from May 2006 to June 2007. Since taking up my post, I have actively sought to develop relationships with a wider network of Muslim organisations, including those representing young people and women. The move was seen as a snub to the Muslim Council of Britain. After standing down at the 2010 election, Kelly joined HSBC's strategy unit. as Senior Manager Strategy, Global Businesses. Her role was approved by ACOBA who saw "no reason why she should not accept this appointment following the prorogation of the current parliament as she proposes". In July 2009 Kelly notified ACOBA she was planning on becoming an independent consultant for various clients including companies and third sector organisations. ACOBA "noting her undertaking not to seek work from any organisation with whom she had official dealings, or who might have a direct interest in the policy she was involved in whilst Secretary of State for Transport, the Committee sees no reason why she should not undertake ad hoc consultancy work subject to the condition that, for 12 months from her last day in office, she should not become personally involved in lobbying UK Ministers or Crown servants, including Special Advisers, on behalf of any clients." ↑ Britain: our values, our responsibilities, Department of Communities and Local Government, 11 October 2006. ↑ Sean O’Neill and Philip Webster, Kelly penalises mosques' failure to tackle terror, The Times, 12 October 2006. ↑ Larry Elliott, HSBC appoints Labour's Ruth Kelly to strategy unit, guardian.co.uk, 17 May 2010. This page was last modified on 3 March 2015, at 11:57.